I love gravy, oh yes I do. Chicken gravy, turkey gravy, sausage gravy, red-eye gravy and, of course, mushroom gravy. 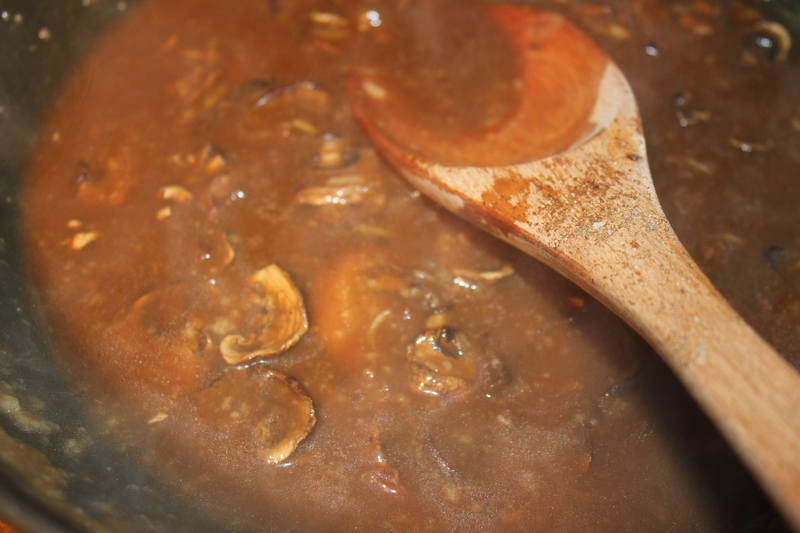 Those of you who have followed my blog for a while know that I adore mushrooms, so adding them to gravy is just natural. Plus you may recall that I recently bought a dehydrator, mainly to make jerky treats for my sweet dog Lillie. In addition to jerky, I’ve also been drying fruits, herbs and yes, mushrooms. I read somewhere that when rehydrated, dehydrated mushrooms pack a ton of flavor. I decided to make some gravy with rehydrated mushrooms and thought what better way to try it out than on country-style steak, a guilty pleasure that I only allow myself to enjoy a few times a year at most. 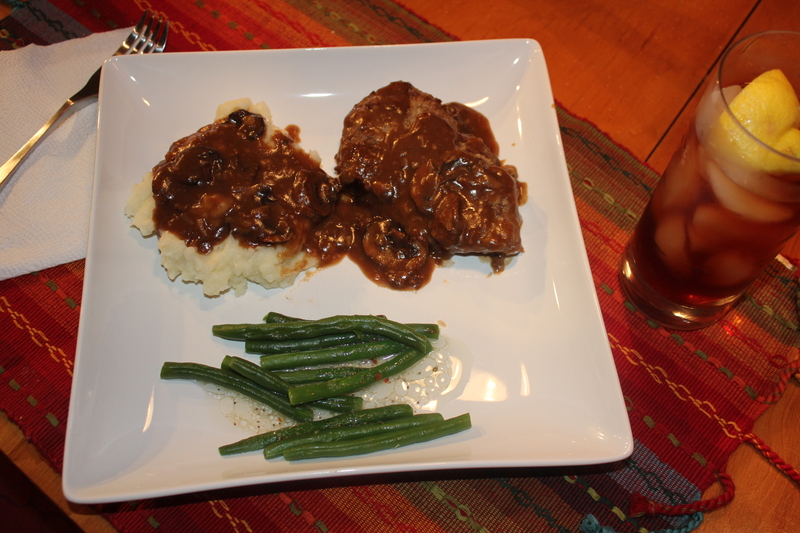 I served it with yummy Yukon gold mashed potatoes and topped all of it with the mushroom gravy. Enter comfort-food paradise. Bring the beef broth to a boil (either in the microwave or on the stove top.) 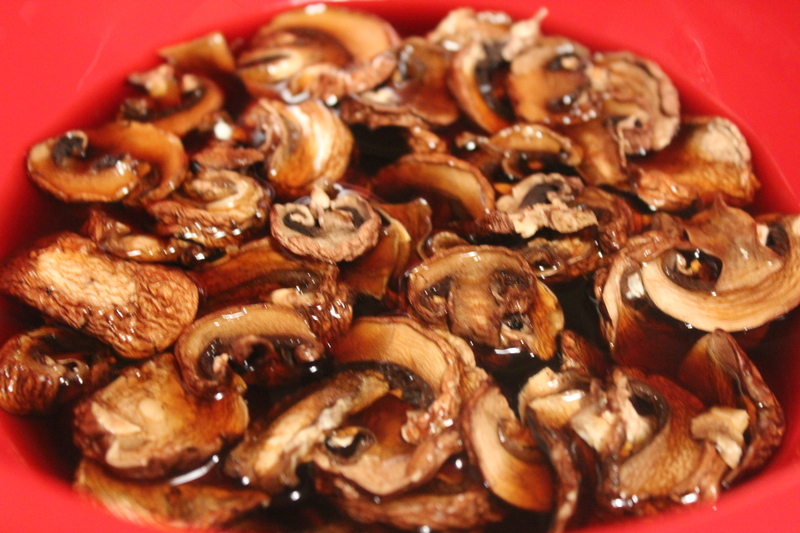 Pour it into a medium sized bowl and add the dehydrated mushrooms. Let sit for at least 30 minutes. You will be using this as part of the gravy. In a large skillet, heat the oil over medium temperature. Meanwhile, in a medium sized bowl beat the egg with 2 tablespoons of water. 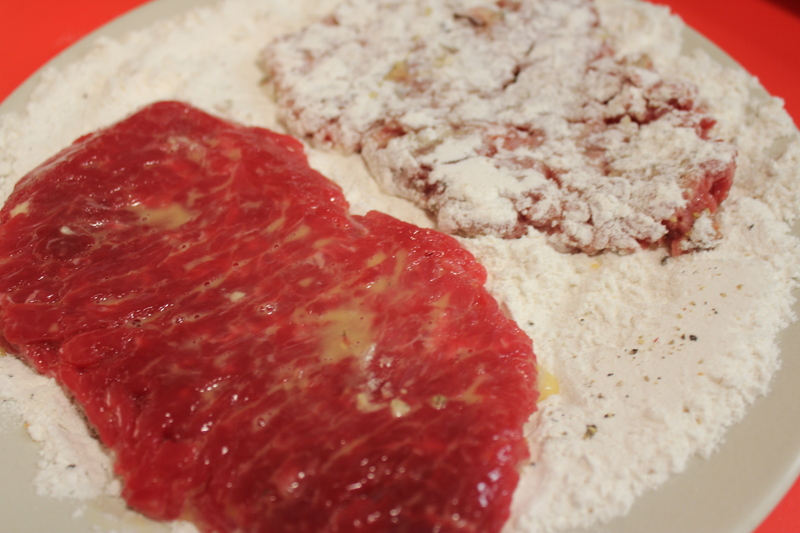 Put the flour on a salad plate and season it to taste with salt and pepper. 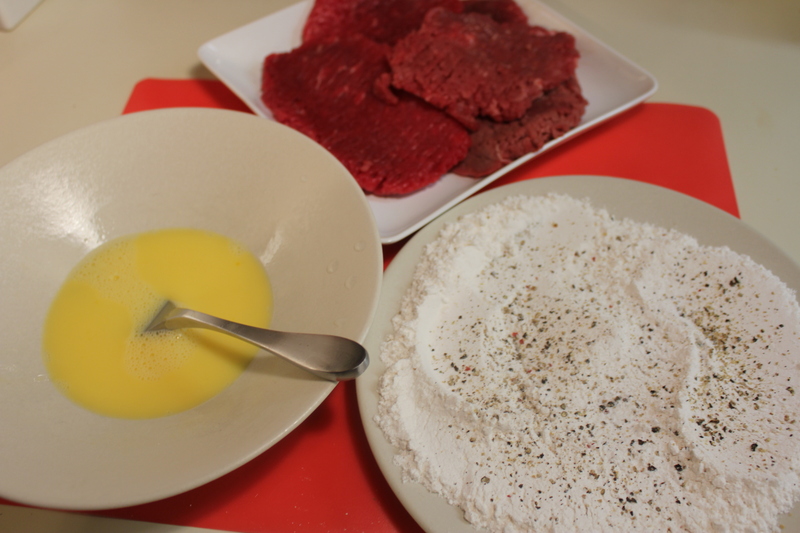 Coat the cube steaks with the egg mixture and then dredge in the seasoned flour. 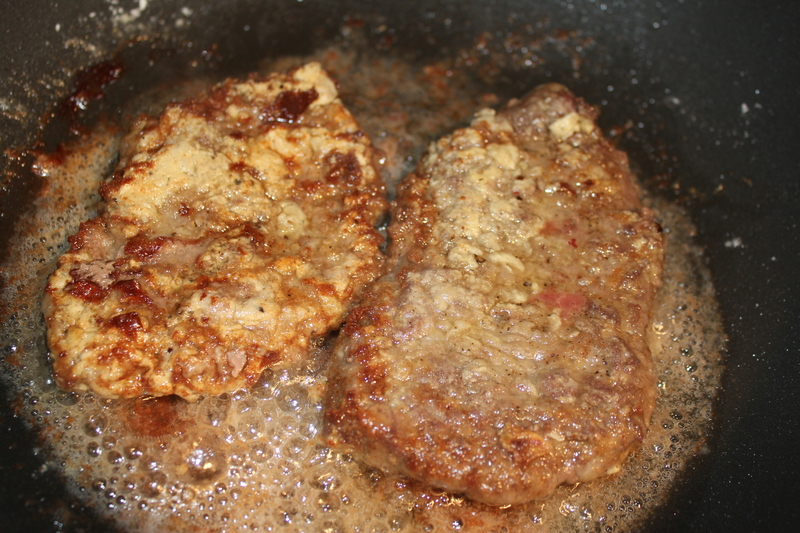 Place a couple of the steaks in the skillet and fry on both sides until golden brown. Place on a platter and keep warm. Repeat until all of the steaks have been cooked. 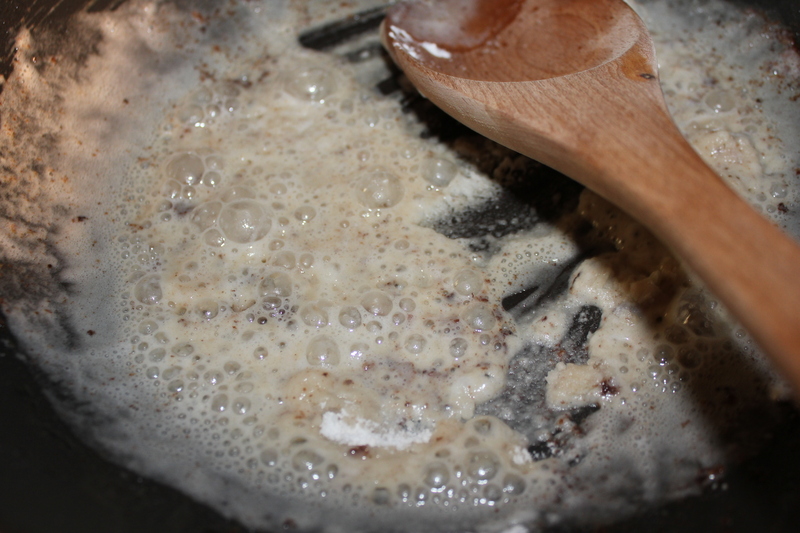 Using the same skillet (do not clean), heat a couple of tablespoons of oil. Slowly add the flour, stirring constantly. 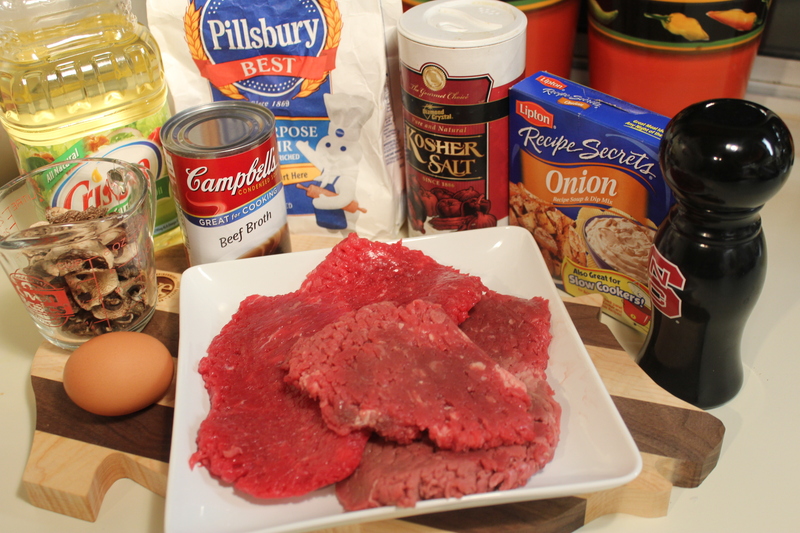 Try and remove all of the flour lumps – you want the mixture to be smooth. Pour in the cold water bit by bit, again stirring constantly to keep the gravy smooth. 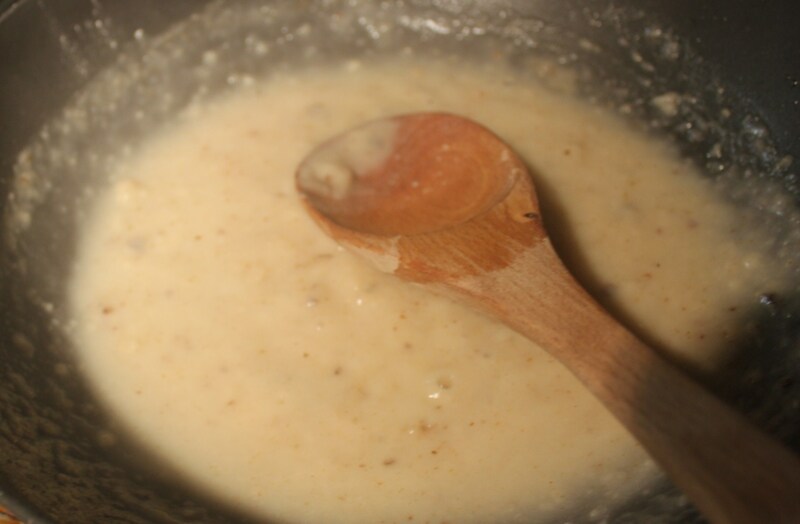 The gravy will thicken the first couple of times you add the water. Keep stirring until you have added all of the water. Stir in the dry soup mix and combine well. Add the rehydrated mushrooms and broth and simmer for a few minutes. 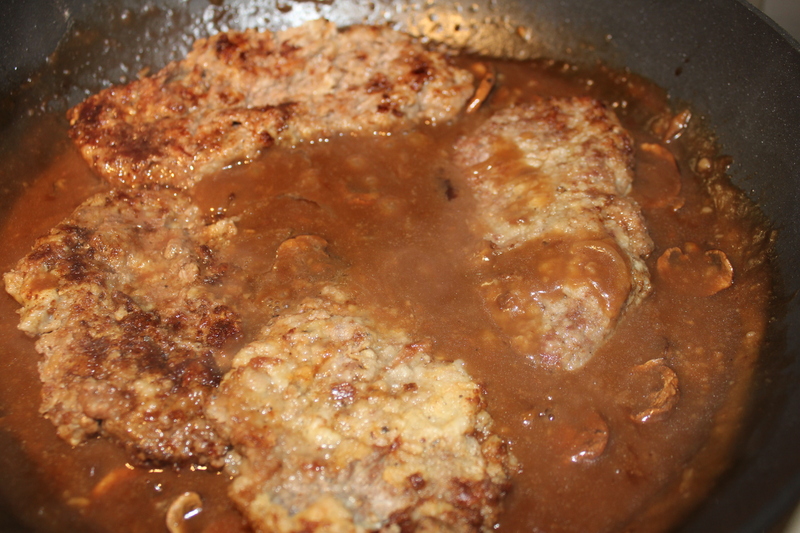 Place the cube steaks into the gravy and heat for a couple of minutes. 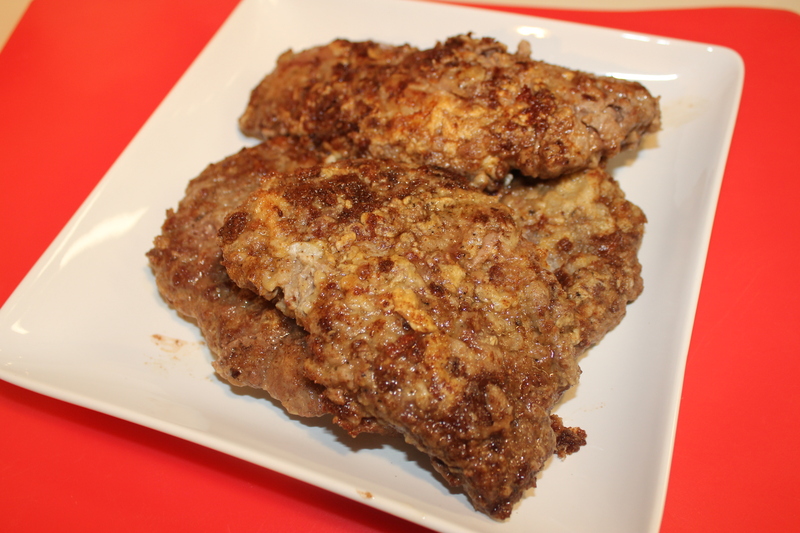 Serve with mashed potatoes or rice and a green vegetable or nice tossed salad. This is probably a dish where you won’t have any leftovers, but if you do they heat up nicely the next day. 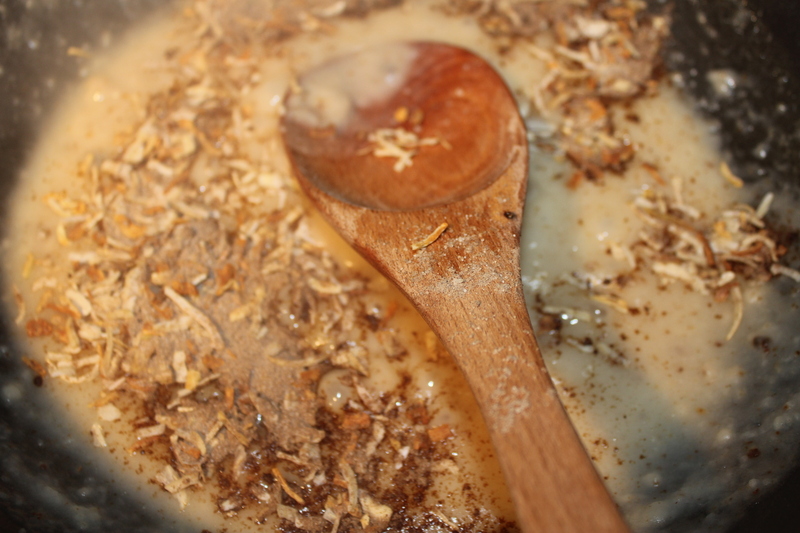 BTW – the mushroom gravy rocks and the rehydrated mushrooms do add quite a bit of flavor. But don’t despair – you can use fresh mushrooms instead, especially if you don’t have a dehydrator. Just saute them in a little bit of butter before adding them to the gravy. 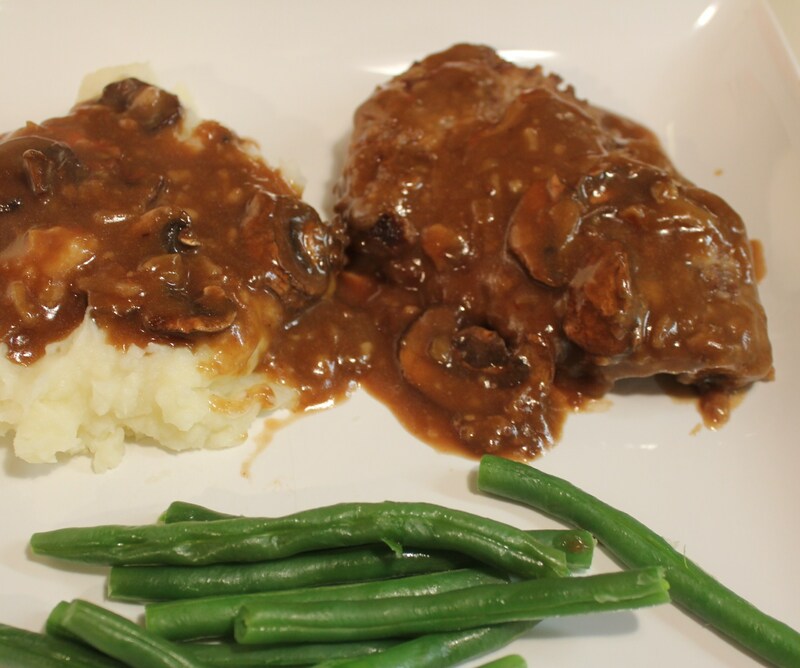 This entry was posted in Meat and Poultry, Recipes and tagged comfort food, country fried steak recipe, Country style steak mushroom gravy, eat drink and be merry, kel's cafe of all things food, Kelley Chisholm recipes, mushroom gravy, rehydrated mushrooms. Bookmark the permalink. That looks yummy. I haven’t made country style steak in years. My dad was the primo gravy master. I watched him make gravy bunches of times and can never replicate it.